This decimal place value chart is a great way for students to practice using decimal values like tenths, hundredths, and thousandths. 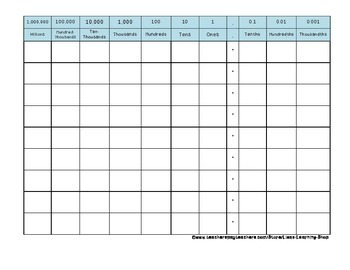 Can be used as a supplementary aid for other assignments involving place value and decimals. If you enjoyed this decimal place value chart, click here for more great 5th grade math products!